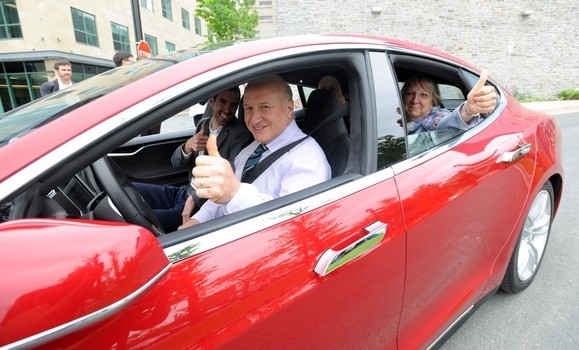 June 17, 2015 – When a Tesla Model S electric vehicle made an appearance at Dalhousie University yesterday, its near silent engine sound and sleek design prompted a symphony of “ohs and ahs” from impressed onlookers. But it was a brand new partnership between Tesla Motors and Dalhousie University that got members of the Dalhousie research community really excited. On Tuesday morning Tesla Motor’s Co-founder and Chief Technology Officer JB Straubel signed a research agreement with Dalhousie University’s Jeff Dahn, lithium-ion (Li-ion) battery researcher with the Faculty of Science and his group of students, postdoctoral researchers and technical staff. The work is set to begin in June of 2016. During a presentation to Dalhousie researchers and representatives, Straubel discussed the importance of the Li-ion battery to the future of Tesla Motors and the recently announced battery business Tesla Energy, a suite of batteries for homes, businesses, and utilities. The Silicon Valley giant is not just an automotive company, it’s an energy innovation company. Read the entire article from Nikki Comeau on the Dalhousie University website. 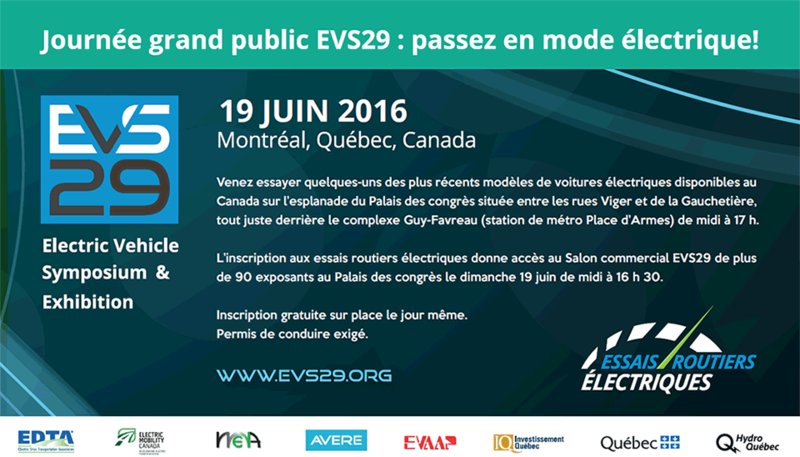 Dalhousie University is a member of Electric Mobility Canada.